Pharell Williams is a rapper, designer, record producer and now he can call himself a guardian angel. Eminem's New Song Ft. Gwen Stefani "Kings Never Die"
Pop superstar Rihanna is heading to U.S. reality show THE VOICE to serve as a "key advisor" to celebrity coaches Adam Levine, Gwen Stefani, Blake Shelton and Pharrell Williams. The Diamonds hitmaker will share her opinions with all of the season nine mentors as they seek out new talent. 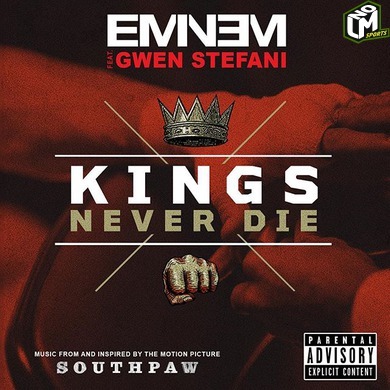 Eminem keeps knocking out contenders with his latest song "Kings Never Die" featuring No Doubt's Gwen Stefani on the "Southpaw" Soundtrack. Fetty Wap's Hitmaking Streak Continues With "I Wonder"
Who knew that the new trend in celebrity wear would be a dinner tablecloth? To be honest, Gwen and her son look pretty fresh wearing their Sunday Table Linen.